In response to requests from customers to design a grip bag that was as big as possible and still be allowed in the cabin of most airlines – hence the name – Henry came up with this version. 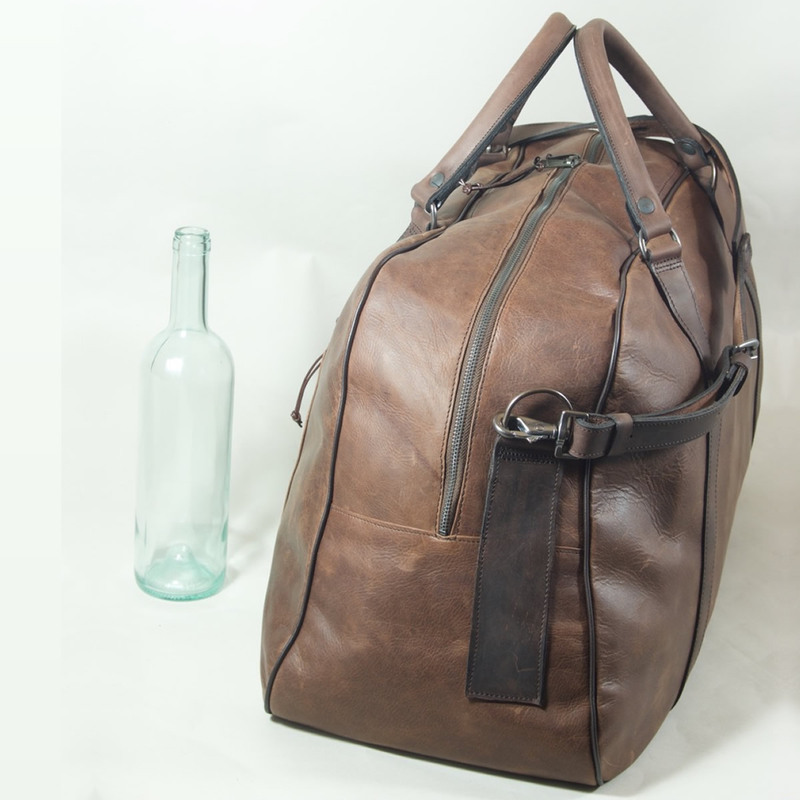 A spacious, handmade leather bag with a very long zip, making it possible to open it wide for easy access and packing. The tough cotton drill lining has elasticated pockets on both faces. 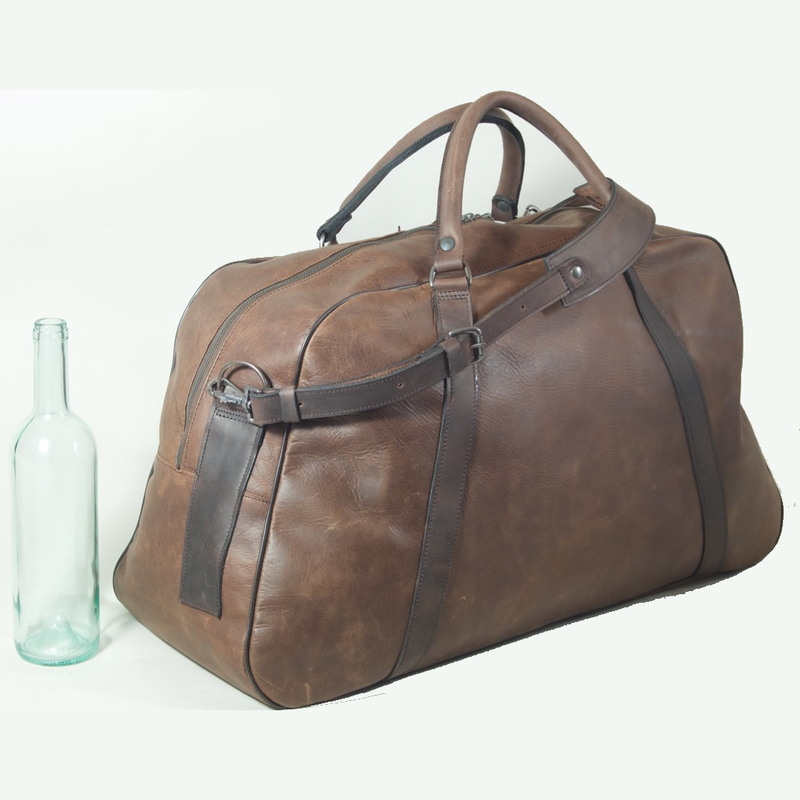 The body of the bag is made of pliable leather so that, when it is empty, it collapses in on itself, making it easy to store in the cupboard under the stairs between trips. 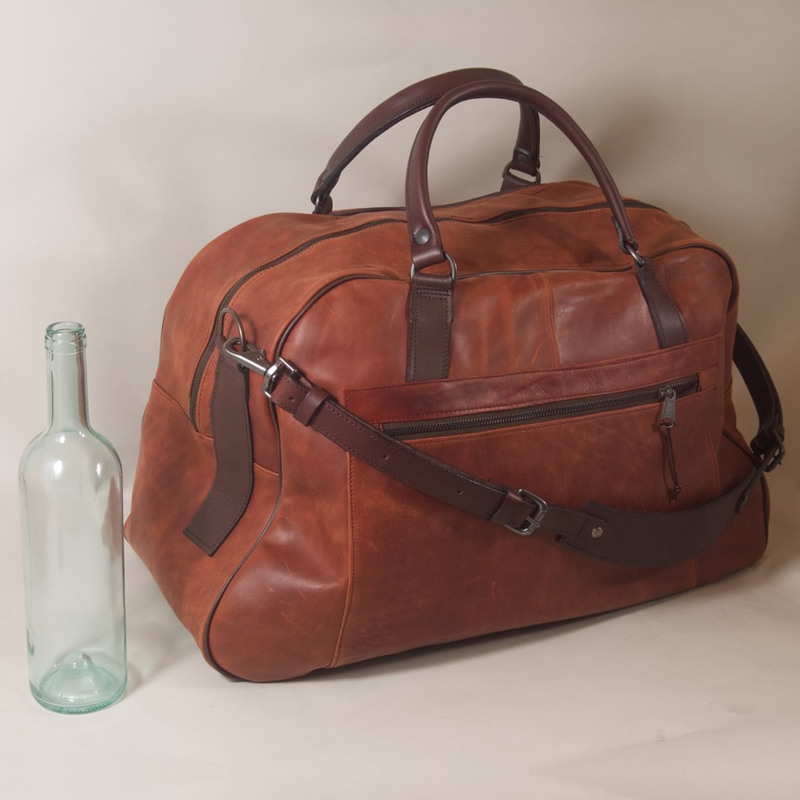 The handles and load-bearing straps, however, are either made from stiff, substantial cowhide or a double layer of leather for a secure, comfortable grip in the hand. The shoulder strap is detachable to enable you to place it inside the bag if you need to put it in the hold of an aeroplane. 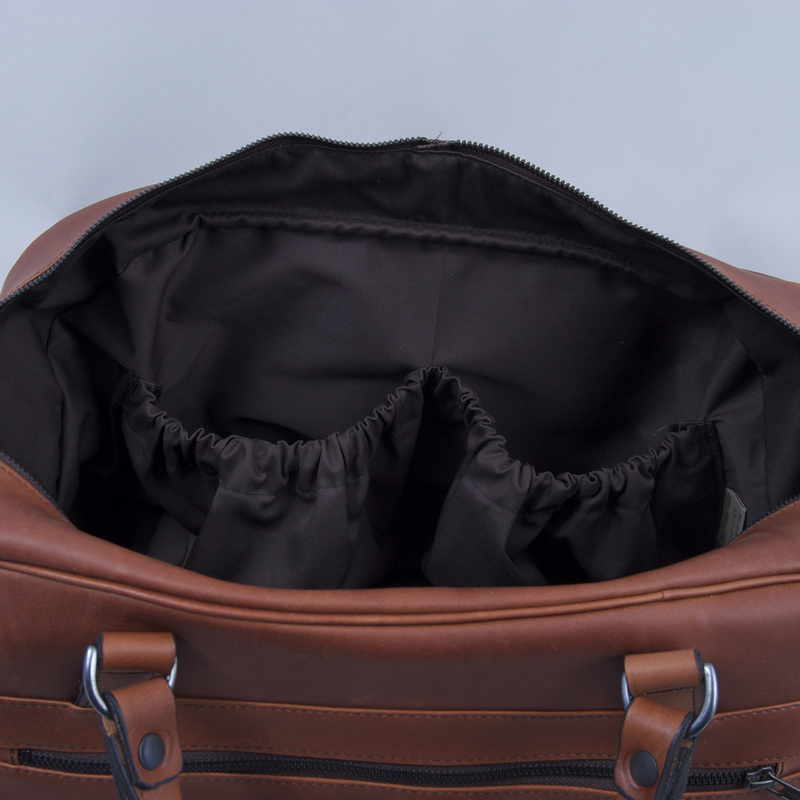 The long zip has two runners which are lockable with a tiny padlock (not included). A flat zipped sleeve on one outside face is handy for maps and travel documents. If you would prefer to have one made without the detachable shoulder strap (£45 less) or the flat zipped sleeve (£30 less) then please specify in the requests/queries box that is part of the order form. Henry will confirm price changes by personal email.